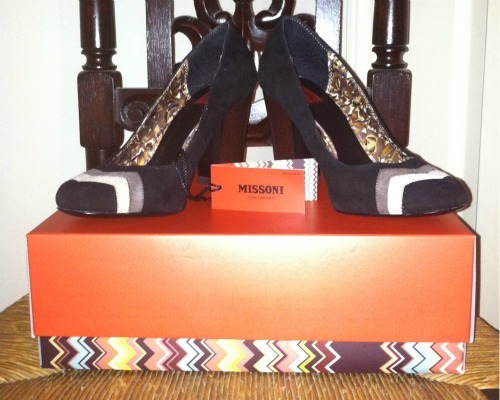 Did you get your Missoni at Tarjay? I wanted to escape the hype... but it was impossible. 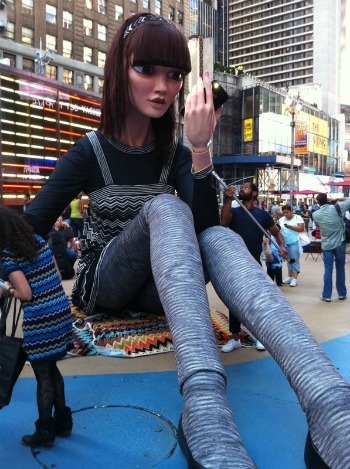 For the past couple weeks I've been walking by the NYC pop-up store on my way into work and this giant doll was outside my office after FNO reminding me to set my alarm for Tuesday AM. And obviously it's all over mags and online. Why do I stress over these things? 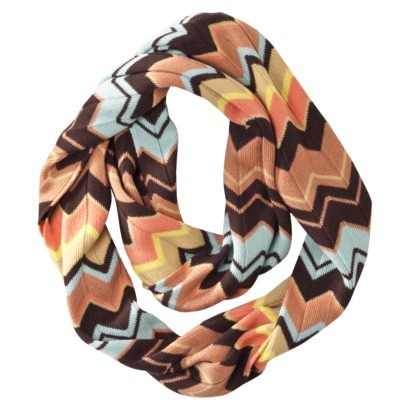 I logged on early and loaded up my cart but narrowed it down to a few scarves before the site crashed. Fingers crossed my order is fulfilled! I then sent my mom on a mission to hit up the store in the burbs to check out the clothing but everything was long gone. She snagged these heels as they were unpacked. I thought they would be too wide but they fit perfectly. Keeper! One of my girlfriends was up at 5:30 AM and ordered about $800 worth of goods in my favorite pattern "Colore." She will remain anonymous as her husband is not to find out about this little shopping spree. Hmm... good luck hiding all those boxes and zig zags when they arrive! hahaha when he sees all those zig zags he's going to wonder what's up! I bought those heels, too, and I love them! People are seriously going nuts about this stuff though. I went to Target at 8:15 yesterday morning and everything was gone because several women had carts FULL of everything Missoni in the store! Unbelievable, but I'm happy with what I got! I'm late in the game! love the scarf! I haven't looked at my target yet to see if there's anything left. I reeeally don't understand this retro 70s zig-zag chevron obsession!! So out of the loop. That doll was creepy. Those shoes are cute. I managed to score a scarf and the flats at my store!